For the past five years, the Classic Film & TV Cafe has published a list of holiday gift ideas recommended by our staff. Click here to view previous years' recommendations. After each gift idea below, we have included the retail price in U.S. currency. Please note that--with a little web research--you can find many of these items for 20-50% off the retail price. 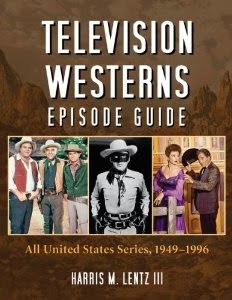 Television Westerns Episode Guide ($39.95 paperback) - Classic TV Western fans will spend countless hours browsing this 568-page encyclopedia of 180 Western series that played on U.S. television from 1949-1996. For almost every series, author Harris M. Lentz III describes the cast, the premise, and the following information for each episode: title, broadcast date, guest stars, and a brief plot summary. While it's fun to read about the famous Westerns, such as Gunsmoke (all 635 episodes!) and Have Gun--Will Travel, I had a blast looking up more obscure, personal favorites (e.g., Rod Serling's The Loner, Black Saddle, Yancy Derringer). In terms of defining the Western genre, Lentz errs on the conservative side and includes contemporary Western series, such as Walker, Texas Ranger and Cowboy in Africa. There's even an entry for The Secret Empire, a limited-run, science fiction Western shown as part of NBC's Cliffhangers umbrella series. There are no photographs, but the book includes an extensive personnel index and an additional "storyline" index that cross-references historical figures, locations, and significant subjects. Comprehensive, interesting, and unique, Television Westerns Episode Guide will keep your favorite classic TV Western fan glued to its pages. TCM's Greatest Classic Films Collection: Astaire and Rogers ($29.92) - Thanks, TCM, for packaging the four best Fred Astaire-Ginger Rogers movies into one low-cost set comprised of Top Hat, Swing Time, Shall We Dance, and The Gay Divorcee. This is an opportunity to add to one's DVD collection some of the finest musical numbers choreographed on film: Astaire's stunning solo "Top Hat, White Tie and Tails" and the dancing-on-air fluidity of "Cheek to Cheek" (Top Hat); the emotional "Never Gonna Dance" (Swing Time); the roller-skating delight "Let's Call the Whole Thing Off" (Shall We Dance); and the enchanting "Night and Day" (The Gay Divorcee).Plus, you can enjoy the comedic talents of Edward Everett Horton, Eric Blore, Alice Brady, and Erik Rhodes. The latter's "chance is a fool's name for fate" routine from The Gay Divorcee always earns laughs from my family and friends. 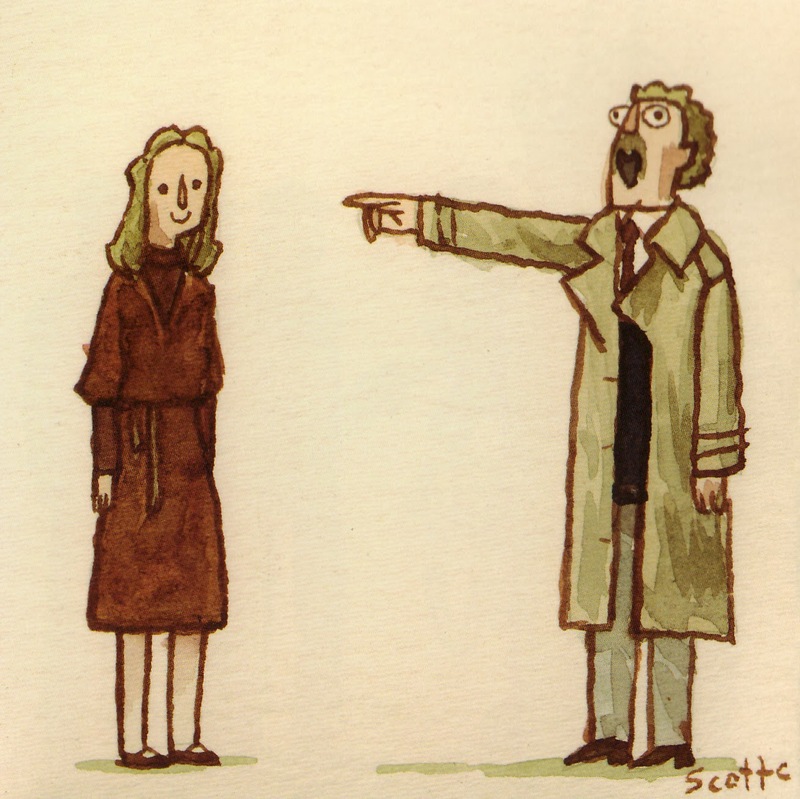 Great Showdowns: The Return ($14.95) - Last year, illustrator Scott Campbell published The Great Showdowns, a very funny little book which featured his drawings of the confrontations between famous film characters. Last October, he published the sequel: Great Showdowns: The Return. While I still prefer the first book, the second one is a delight, too. Just remember that Campbell includes no "answers" to his illustrations; either you "get" them or you don't. 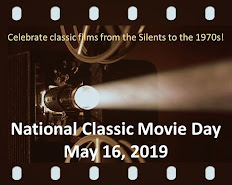 Some of the films are off the beaten track (Zardoz, Princess Mononoke), while most are pretty famous (Grease, The Gold Rush). One of my faves is shown to the right: Donald Sutherland shrieking from the 1978 version of The Invasion of the Body Snatchers. 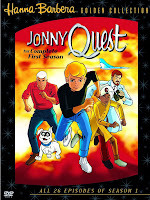 Jonny Quest: The Complete First Season ($39.98) - Young folks should enjoy discovering this classic action-packed, prime-time animated series. And the young at heart, who watched it during the 1960s, will enjoy revisiting it again. 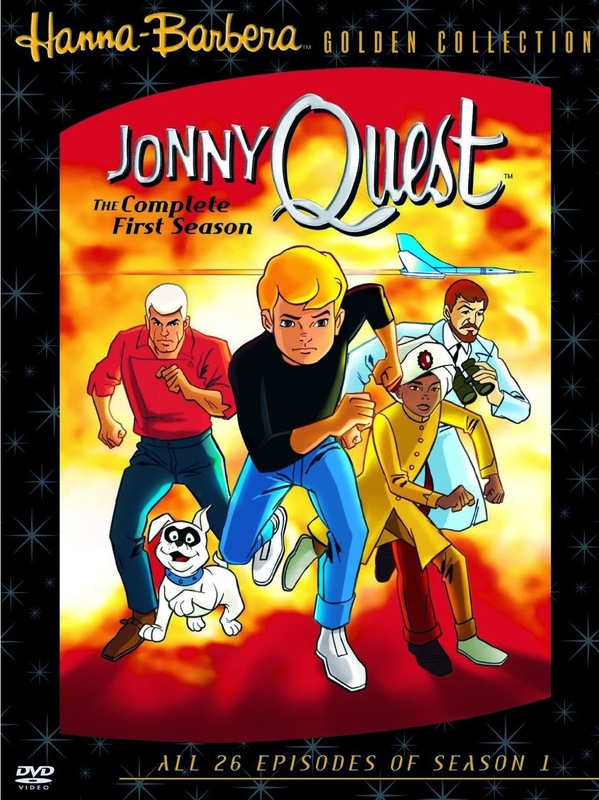 The 26 episodes pit Jonny, his father Dr. Benton Quest, bodyguard Race Bannon, friend Hadji, and dog Bandit against a plethora of villains that include: a mummy; a lizard monster; a spider-like robot; pirates; dinosaurs; a possible werewolf; and Quest nemesis Dr. Zin. Jonny Quest purists have quibbled that some of the dialogue has been re-edited to make it politically correct and that series creator Doug Wildey's name is missing from the end credits. Those are valid points, but still don't distract from a well-packaged DVD set. Frankie & Annette: MGM Movie Legends Collection ($39.98) - MGM has packaged almost all of the movies made by Frankie Avalon and the late Annette Funicello. While these nostalgic sand-and-surf musicals may hardly seem like classics, they hold up surprisingly well thanks to quality musical acts (e.g., Little Stevie Wonder), the funny antics of Harvey Lembeck and Don Rickles, and the charming stars. Two films in the Beach Party series are conspicuously missing: Pajama Party, which stars Annette and Tommy Kirk (plus a prominent cameo from Frankie) and the lame Ghost in the Invisible Bikini, which features neither Frankie nor Annette. It's understandable why the latter is missing from this collection, but Pajama Party should have been included. Still, there's enough music and surfing to inspire a beach party (tonight!) at your house. We also want to mention two additional books that we reviewed in-depth earlier this year: Star Trek: The Art of Juan Ortiz and My Lunches With Orson Welles. That's it for this year--happy shopping to all and to all a good night! 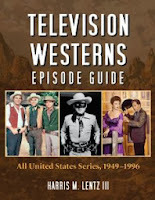 McFarland & Co., Inc. Publishers provided a review copy of Television Westerns Episode Guide and Titan Books provided a copy of Great Showdowns: The Return. I'll take the Astaire & Rogers Collection, please. 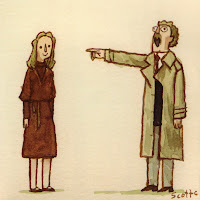 The illustration you posted of Donald Sutherland in "The Body Snatchers" is hilarious! Fun post! It is nice to see the Beach Party movies offered as a collection, though I agree it should be complete.